Jr. Fair Coordinator Amanda Ivey holds a monkey that the junior Fair Board fell in love with. 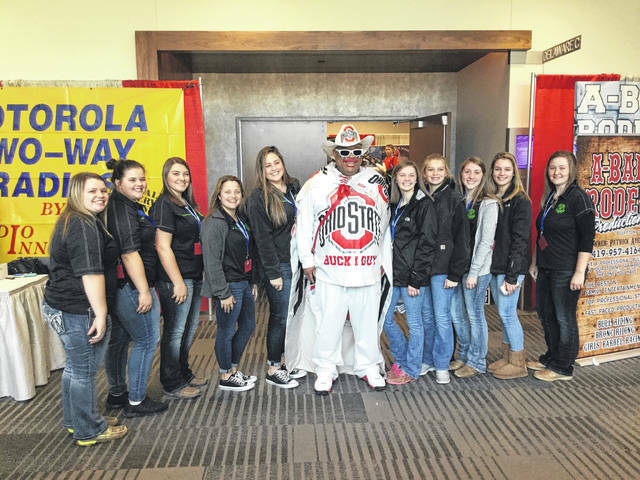 Fayette County Jr. Fair Board were all smiles when they posed with Buckeye man. The Junior Fair Board assisted the Senior Fair Board in booking entertainment for the 2018 Fayette County Fair. Plans for the 2018 Fayette County Fair are underway with the Junior and Senior Fair Boards making plans for entertainment as well as changes in shows to better the fair this year. The Jr. Fair Board will meet Feb. 15 to finalize activities for this year’s fair. The junior fair board is under the direction of coordinator, Amanda Ivey. A junior fair board advisory committee also is available to the Jr. fair board. Those volunteers are as follows: Amanda Ivey, Bryan Sheets. David Sanders, Bruce Bennett, Amanda Swigert, Wayne Arnold, Nadine Fogt, Jim Worley, Jason Bihl, Doug Marine, Pat Brinkman and Faith Cottrill. Last year’s Junior Fair Board enjoyed learning how a fair is scheduled from the front of the rides to booking entertainment, as well as working with ODA on making safe shows. A special night was set aside for the midway to be open to only Junior Fair Board members to ride rides and enjoy a pizza party. For questions concerning the Junior Fair Board, call 740-335-5856.
https://www.recordherald.com/wp-content/uploads/sites/27/2018/02/web1_AmandaIveyWithMonkey.jpgJr. 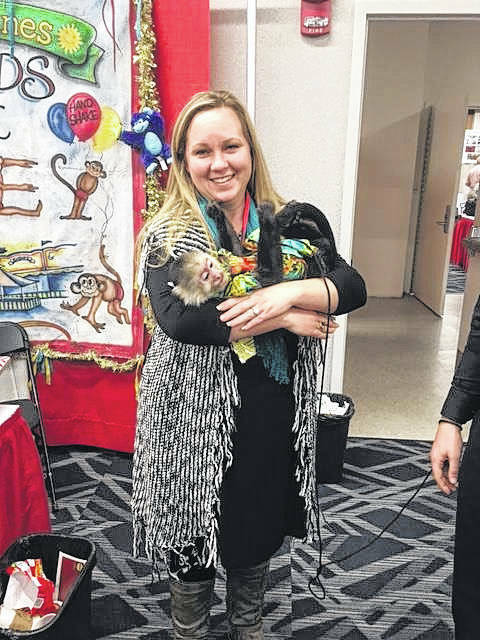 Fair Coordinator Amanda Ivey holds a monkey that the junior Fair Board fell in love with. 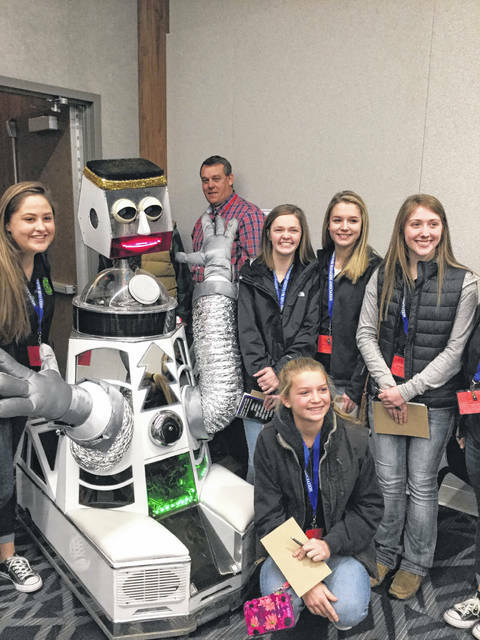 https://www.recordherald.com/wp-content/uploads/sites/27/2018/02/web1_JuniorFairBoardwithBuckeyeMan.jpgFayette County Jr. Fair Board were all smiles when they posed with Buckeye man. https://www.recordherald.com/wp-content/uploads/sites/27/2018/02/web1_JuniorFairBoardAssists.jpgThe Junior Fair Board assisted the Senior Fair Board in booking entertainment for the 2018 Fayette County Fair.